Short on time, high on adventure? No worries. Many of you have told us you simply can’t get away for more than a week on vacation. We don’t want you to have to wait until you have more time, so we’ve cherry-picked the very best experiences, hikes, paddles and bike rides, combining them into an unforgettable 8-day South Island adventure. Will you see everything? Of course not, but it’s a great start until you can come back again. If you do have time for more, add this trip to our Sweet North for the perfect way to explore both islands over 13 days. 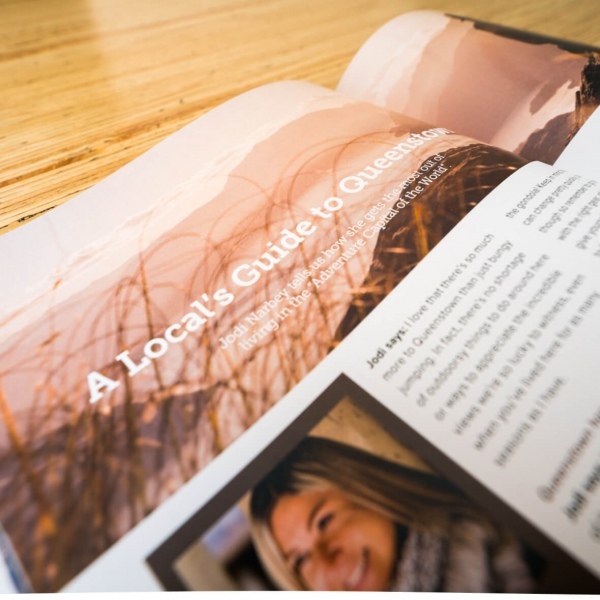 We’ve chosen the best bits from around the South Island and cleverly squeezed them into eight unforgettable days, packing as much joy as possible into your Short South trip without rushing. And it all starts today! After meeting your guides and fellow travellers in Queenstown, you’ll begin your long-awaited adventure with a bang. We’ll travel to the ‘eighth wonder of the world’ Milford Sound, following one of New Zealand’s most impressive roads to get there. Make sure your camera batteries are fully charged for this journey. This afternoon we’ll have a chance to meet the local wildlife making their home in Fiordland National Park as we board a custom-designed vessel to spend the night on the water. Your perfect first taste of New Zealand and its beauty. Following our arrival into Milford Sound, Fiordland’s most famous attraction, we’ll jump on board our boat to explore the length of the fiord out to the wild Tasman Sea. You’ll get settled into your cosy cabin and then spend the rest of the afternoon getting to know your fellow travellers as you cruise Milford and soak in its majesty. This evening you’ll enjoy a delicious 3-course meal in the saloon as you relax and anticipate the adventures ahead. Wake up in Milford Sound this morning to birdsong and the reassuring lap of water against the hull. Enjoy the crisp, fresh air and feel your everyday anxieties slip away as the tranquility of the fiord washes over you. We’ll cruise back to dock before heading off to discover Fiordland National Park on foot, with a hike on part of the Routeburn Track to Key Summit for outstanding views. This evening you’ll have time to explore the small town of Te Anau, where we’ll be staying the night. Once back on dry land, we’ll head deeper in Fiordland’s wilderness for a heart-pumping hike on the world famous Routeburn Track up to Key Summit. A well-formed track leads us through lush beech forest and past tall tree ferns, with velvety mosses blanketing the rich earth underfoot. Native birdsong provides a beautiful soundtrack to our walk and as we climb higher, views of the Darran Mountains and Hollyford Valley stretch out beneath us providing a fitting reward for our efforts. You’ll sleep soundly tonight in your lakefront accommodation in Te Anau. Today we leave the rainforests of Fiordland behind and head for the high-country lakes of Central Otago. We’ll climb on bikes to explore Queenstown’s stunning surrounds, before peddling our way to the world-class wine-growing region of Gibbston Valley. We then head over the Crown Range to the pretty mountain resort town of Wanaka and gateway to Mt Aspiring National Park, where we’ll spend the night. Queenstown is an internationally acclaimed, adrenaline fuelled destination. The fresh mountain air exudes excitement, with locals and visitors alike feeding off the buzz. You’ll see people out running, riding their bikes, climbing mountains and then parachuting off them! Living in one of nature’s playgrounds certainly has its advantages, one of them being the fantastic purpose-built bike trails that weave their way round the Wakatipu Basin. We’ll get fitted out with bikes and gear in Arrowtown, an old gold mining town with a rich Chinese mining history, before heading out on the trail. We’ll follow the Kawarau River out towards the Gibbston Valley vineyards and the world’s first commercial bungy bridge. A short but incredibly scenic drive over New Zealand’s highest sealed road at 1022m takes us into Wanaka, a favourite holiday spot for Kiwis. Nestled at the foot of snow-capped mountains, this lakefront town is Queenstown’s more relaxed cousin, although its equal in stunning scenery. It’s a great place to explore on your own for a bit – be sure to try out some of the local delicacies including meat pies, fantastic coffee, uniquely flavoured gelatos and craft beers. Reckon the Short South is the trip for you? Ready to book? Get ready for a real Kiwi backcountry experience - this is the stuff legendary holiday tales are made of! We’ll begin the day with a scenic flight deep into the heart of Mt Aspiring National Park, a UNESCO World Heritage site. We land in an isolated valley where we’ll enjoy a picnic lunch with views that will knock your socks off. Sufficiently fortified, we’ll hike back down to the river where a jetboat will be waiting to whisk you back to civilisation and your comfortable bed in Wanaka. Today's adventure begins on one of Southern Alps Air’s Cessna bush planes, taking in expansive views of the 355,000ha Mount Aspiring National Park. Look out across winding rivers, virgin beech forest, glaciated valleys, alpine lakes, glaciers and the towering Southern Alps, before landing on the remote Siberia Valley air strip. Once on the ground, we'll head up the valley to a backcountry hut with outrageous views of the surrounding peaks. After a tasty picnic lunch on the deck of the hut, we'll begin our walk along a well-marked track through the thick forest linking the Siberia Valley to the Wilkin Valley wilderness below. Be on the lookout for native birds along the way and the many photo opportunities as you immerse yourself in nature. The track was originally used by Mount Albert Station to take stock into the valley for grazing. The track is 6.8km in length, the first half of which climbs gently 200m in elevation from the airstrip, before heading downhill for the second half of the walk - a total drop in elevation of 470m. Jet boats were invented in 1954 in New Zealand by Sir William Hamilton for the shallow waters of our braided rivers. Jet boating originally started on the Wilkin River in 1968 transporting venison out of the mountains before hiking and commercial work became more commonplace. On reaching the Wilkin River at Kerin Forks, jet boats will be waiting to take us for a thrilling 30-minute ride down the Wilkin and Makarora Rivers back to the Makarora Village. Get a whole different perspective on this dramatic valley as you watch the landscape rush by and feel the wind in your hair. Tonight, we’ll head back around the lake to stay in Wanaka. If you’re feeling energetic this morning, we’ll start the day off with a heart pumping hike up to Rocky Mountain. If you’d prefer a more relaxed start, you can wander the track that runs past the accommodation, or we can organise a bike for a relaxed pedal on the Hawea to Wanaka track, the choice is yours. This afternoon it’s a change of scenery as we make our way to the Mackenzie Country, an area of jaw-dropping beauty, wide-open skies, glacial lakes and distant towering peaks. We’ll spend the next two nights staying at the foot of New Zealand’s highest mountain, Aoraki/Mount Cook. Home to not only its namesake, known as “the Cloud Piercer” to Māori looming at 3,724 metres (over 12,000 feet), Aoraki/Mount Cook National Park boasts a further 19 peaks topping more than 3,000 metres. These are the mountains where Edmund Hillary honed his skills before becoming the first to successfully summit Mount Everest with Tenzing Norgay in 1953. This imposing land of rock and ice is a hiker’s paradise, and you have several experiences to choose from today. Get up close to the icebergs on a glacier boat tour, or even splurge on a heli-hike if you’d like. Check out the many hiking tracks and trails, or simply explore the village at your leisure. Whatever you decide, it’s an incredible place to spend the day. Whichever option you decide on, you won’t be disappointed. After a full day of activities, we’ll meet up and return to our accommodation for a tasty home-cooked meal and a chance to trade stories from the day as well as gaze up at the impressive night sky in this internationally recognised Dark Sky Reserve. Take a helicopter up to land high on the Tasman, New Zealand’s longest glacier. In the company of an experienced guide, you’ll don crampons to explore the dramatic ice caves of this frozen wonderland. We’ll start today with a bike ride through the picturesque Mackenzie Country following the surreal turquoise waters of Lake Pukaki. The Alps to Ocean track is just over 300km in length, and today we’ll discover some of its most striking stretches. We’ll then make our way to the charming town of Akaroa, a historic French settlement nestled in a quiet harbour, where we’ll spend our final night. It’s easy to see why Sir Peter Jackson often returns to this area to film. With Mount Cook/Aoraki standing tall in the background, you’ll feel like a character on a movie set as you peddle through this impressive panorama. 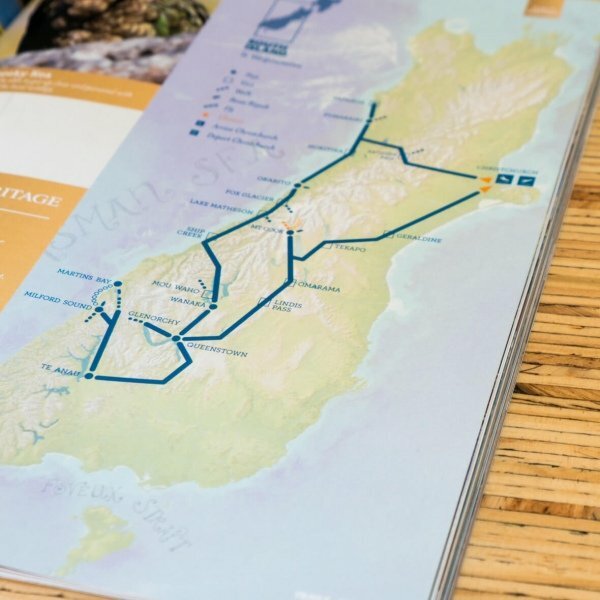 We’ll cycle a section of the Alps to Ocean track, a purpose-built bike trail that winds its way from Mount Cook all the way to the ocean in Oamaru. After a healthy dose of fresh air, we’ll travel on through the tussock-filled basin east to the historic French settlement of Akaroa. Akaroa sits on a quiet harbour surrounded by the remnants of an old volcano and is rich in both Maori and French history. It’s the perfect place to spend our last night of the trip together. 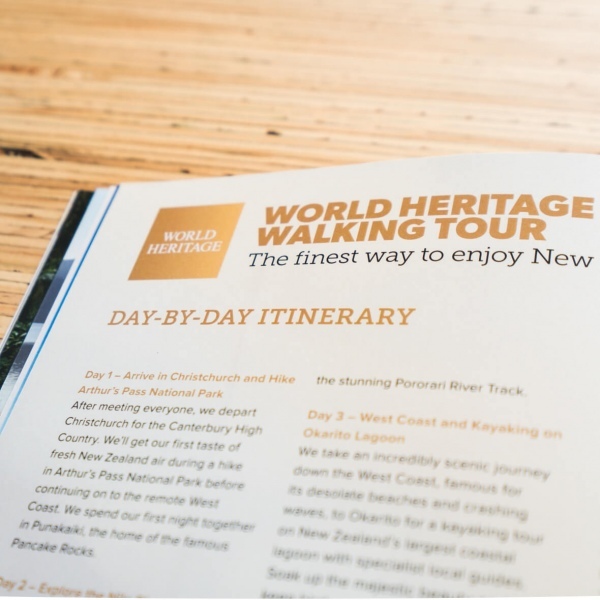 We’ll arrive into Akaroa by late afternoon and you’ll have time to explore the township’s colonial architecture and it’s thriving arts and crafts scene, as well as meet a few of the locals. We’ve saved one last ‘only in New Zealand’ adventure for this morning – a chance to get up close to Hector’s dolphins, the smallest and rarest dolphins in the world. Whether you choose to swim with them or watch from the boat, this promises to be a once-in-a-lifetime experience. This afternoon we’ll say our farewells in Christchurch, sending you home refreshed and revitalised with incredible stories to tell your friends and family. It’s our last morning together and the adventure isn’t quite over just yet. We’ll board a small well-equipped boat with a specialised guide to experience Akaroa Harbour the abundance of marine life that make their home there. After donning our wetsuits, we’ll take to the water to swim with native Hector’s Dolphins, enjoying their playfully curious antics. Akaroa is the only place in the world where you can take a specific trip to swim with them and this adventure is strictly regulated to ensure it doesn’t interfere with the routine and habitat of these incredible creatures. This afternoon we finish our adventure in the South Island’s biggest city, Christchurch. It’s only an hour or two from Akaroa to Christchurch so we’ll have you there in plenty of time for your departing flight, or we can drop you at your accommodation if you’d like to spend some time exploring this cosmopolitan and transitional city. The Short South works perfectly with our Sweet North trip if you’re keen to explore the North Island as well. It's very important to us that you have all your questions answered about our Short South trip. We’ve collected some of the questions we get asked most often and answered them below. Or visit our general FAQ page here for more answers! How fit do I need to be for the Short South? Click here to go to a handy page with a summary of the distances and approximate times for every walk and activity on our Short South trip! What is the accommodation like on the Short South? With eight days to show off New Zealand to you, we’ve hand-picked a selection of fantastic places to rest your head. From the boat on Milford Sound to the Mount Cook Lodge and beyond you’ll discover a taste of the fun, friendly and quirky places New Zealand has to stay. Click here to find out more about the accommodation on this trip. What time does the Short South trip start and finish? It was the perfect of perfect and I have no idea how to make it any better! The guides and natural beauty made the trip for me. Both Tom and Beth were brilliant about the places we visited/ life in general and more than happy to engage in any kind of conversation or activity. Beth and Tom both share a great commitment to the environment that came through clearly in their comments. This trip was a lot more than what I expected. Milford Sound left me speechless. Our Guides Shona and Libby could not have been more helpful, and the food they produced was amazing. I will come back again and I have highly recommended this tour to friends of mine. AWESOME!!!!! Short on time? No worries. Discover the highlights of the South Island over 8 incredible days as you hike, bike, swim, cruise on and soar over iconic New Zealand sights. You’ll enjoy tasty home-cooked meals and local restaurant cuisine, resting your head at night in very comfortable and perfectly located accommodations. If you have a little more time up your sleeve, experience the best of both North and South over 13 days by combining this trip with our Sweet North. Find your ideal dates below using the date picker and keep an eye on availability as our small groups fill up fast. Remember, your deposit is fully refundable right up until 90 days before your trip, so if plans change for whatever reason, you’re covered. 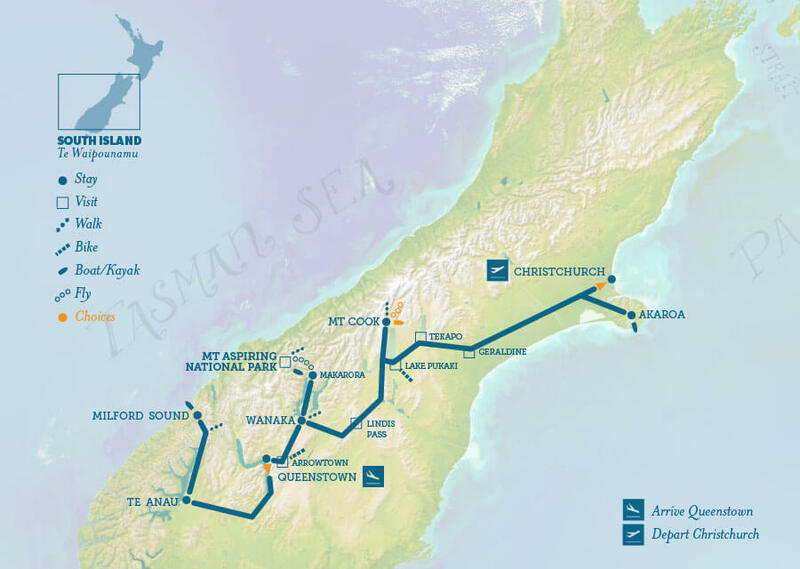 8 Day South Island Tour – Queenstown to Christchurch. All inclusive. 6 nights private rooms with ensuite bathrooms. When aboard the Milford Wanderer on Milford Sound, you’ll have private cabins, and bathrooms are shared, with private showers & toilets, as is routine on boats and ships. If the price below is not in your home currency, get an indication of what it converts to by using our currency converter below. Or ask us for trip prices in your home currency. Combine this trip with the Sweet North to see both islands in 13 days! We do have shorter trip options and solo travellers don’t pay more, unless you’d like an upgrade to a private room. PLEASE NOTE: This is a sample of our current itinerary. Keep in mind we are constantly fine-tuning and improving our trips based on feedback from our guests and guides, availability, etc. So your trip will be at least this good, but we reserve the right to make slight alterations without notice to make it even better!